A card-driven game game about the cold war between the USA and USSR. Card driven wargame about the Protestant Reformation. 6 player game where negotiation features heavily. Players play events, move armies and spread religion depending on what power they have drawn. The game plays long and is complex. Moderately complex wargame on the Seven Years War in Europe. Card driven wargame. 4 player, one player as Prussia, one as Austria, one as Britain and one playing France and Russia. Many scenarios, ranging from one session to 15-20 hours. Commands & Colors: Ancients allows you to re-fight epic battles of the ancient world. Here the focus is on the two rivals for power in the Western Mediterranean -- Carthage and Rome. Will you, as Hannibal, triumph over larger Roman armies; or as Scipio Africanus, will you beat Hannibal with newer tactics of your own? 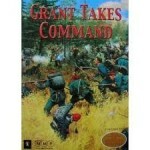 Grant Takes Command simulates all the action of this pivotal campaign. 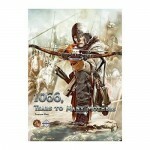 This sev­enth volume in the Great Campaigns of the American Civil War series recreates the marches, assaults, and defensive stratagems of these months using the series' interactive game system. Take command of the American and British Armies in twelve great battles of the American Revolutionary War. Labyrinth takes 1 or 2 players inside the Islamist jihad and the global war on terror. 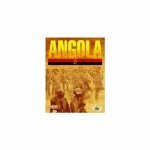 The White Tribe is a strategic solitaire (one player) game on the 1966-1980 civil war in the African nation of Rhodesia (today called Zimbabwe).